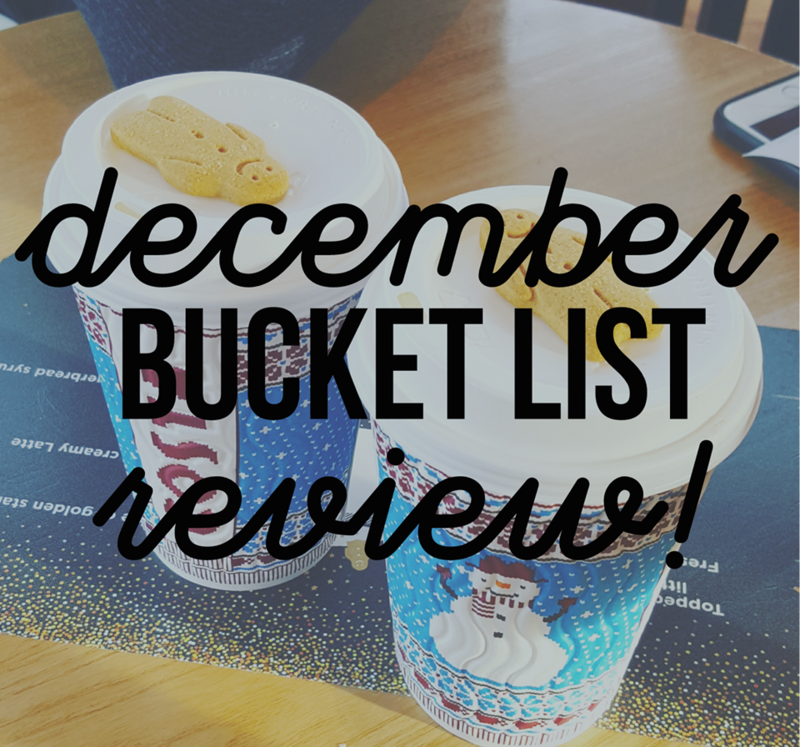 On the 12th Blog of Christmas: December Bucket List Review. We enjoyed a lovely afternoon at the Manchester Christmas Markets, drinking Bailey's hot chocolate and eating Nutella waffles. Visiting the Christmas Markets...check! We had so much fun making traditional Italian Christmas cookies for the first time. You can read more in our 3rd Blog of Christmas. Christmas baking...check. We have had an absolute blast this Christmas playing lots of games with our family. Heads up is definitely one of our favourites. However, thanks to our brother we also played Harry Potter scrabble and Harry Potter trivial pursuit, both of which he got for our sister Jen. Play games with our family...check. OK, so we kind of cheated this year as our husbands got us pre-assembled Gingerbread houses, so we didn't have to worry about them falling apart, but we thoroughly enjoyed decorating them and making them all bright and colourful. We both enjoyed our own little Christmas Days in America putting up our Christmas trees and decorating our Gingerbread houses. :) A Christmas filled day with our husbands and decorate a gingerbread house...check and check. This holiday we also painted our nails with our sister, watched a few episodes of Gilmore Girls, curled up in our cozy pajama's to watch The Holiday and The Santa Clause and drank many a gingerbread and peppermint latte. It's safe to say our Christmas/December Bucket List was a success, with us completing 9 out of 10 things on the list. Yay! What did you get up to this Christmas? Did you have a Bucket List?